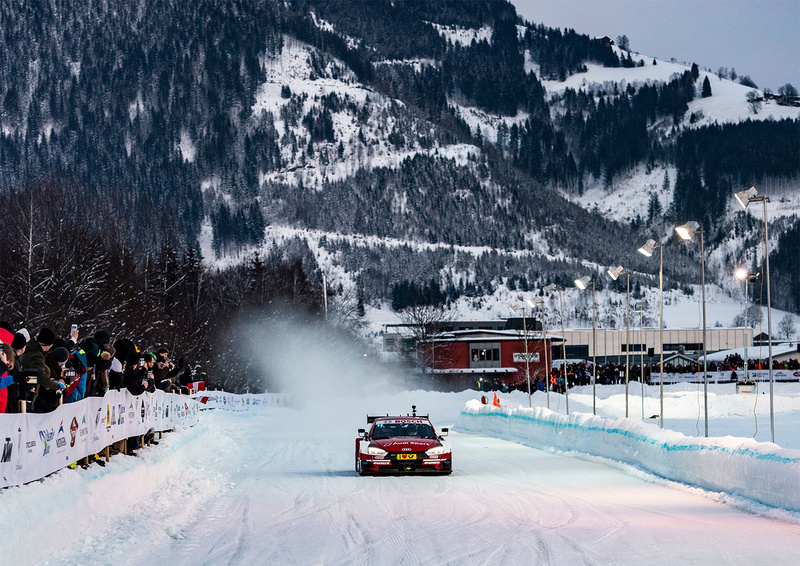 At the GP Ice Race in Austria, Formula E driver Daniel Abt and DTM Champion René Rast ventured onto snow and ice in their race cars at temperatures well below freezing. 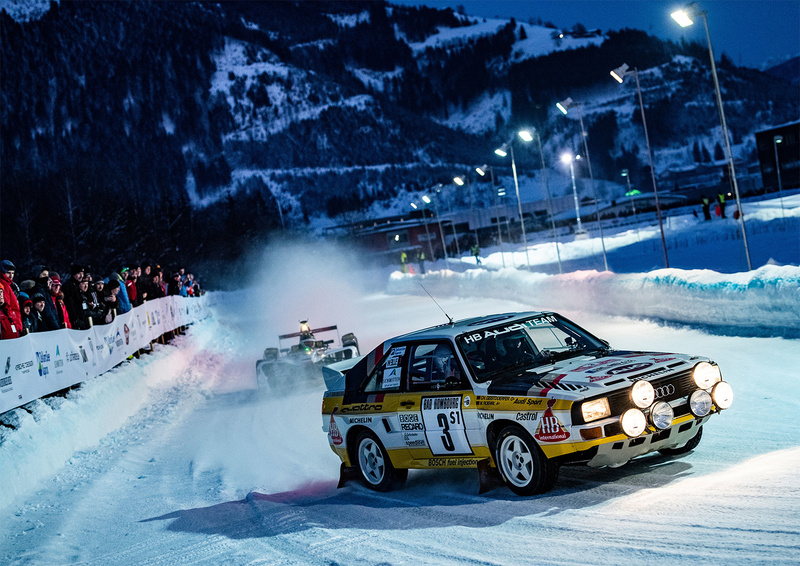 Also in action for Audi Sport was rally legend Walter Röhrl and freestyle skiing star Benedikt Mayr. 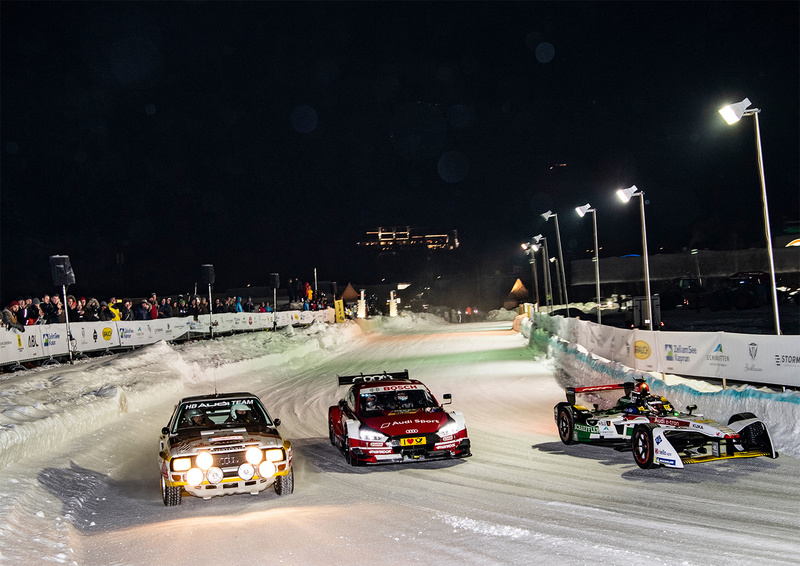 At the revival of the ice race in Zell am See in Austria, a trio of Audi race cars thrilled the large crowd of spectators. 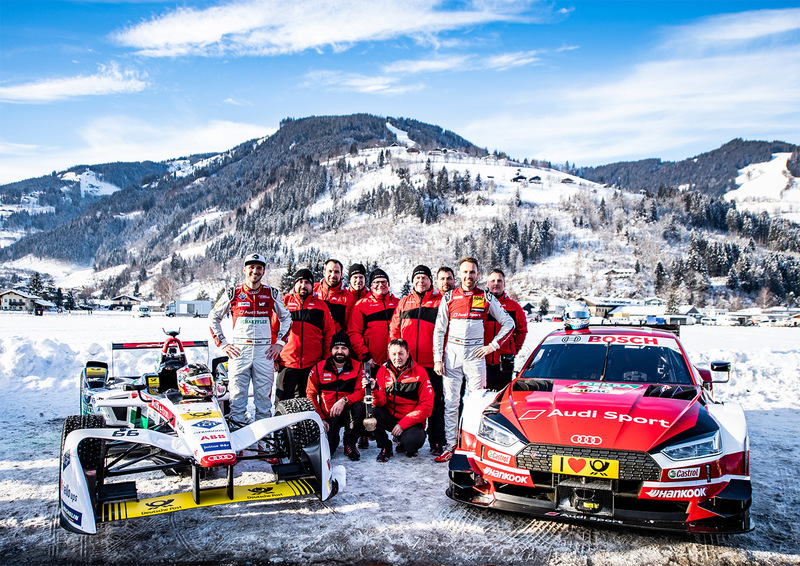 Daniel Abt drove the Audi e-tron FE04 with which the Audi Sport ABT Schaeffler team won the 2017/2018 ABB Formula E Championship. 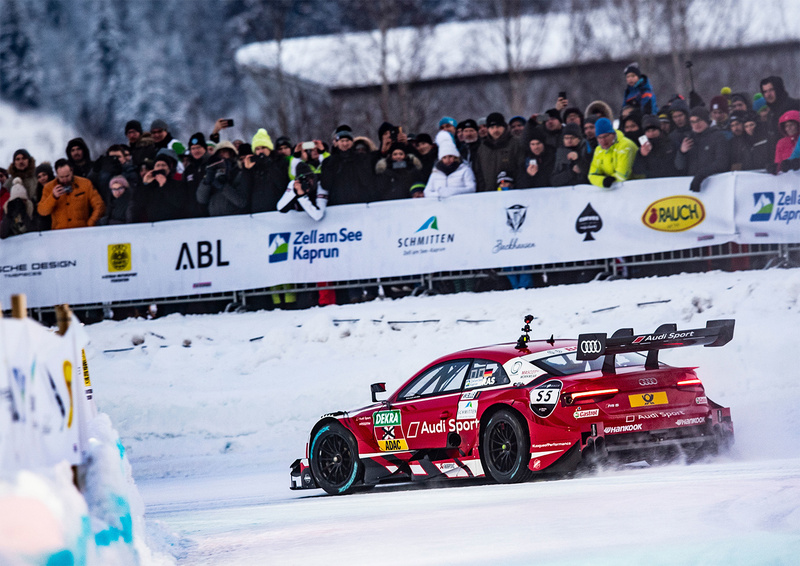 René Rast was at the wheel of his Audi RS 5 DTM race car, and World Rally Champion Walter Röhrl was at the wheel of a historic Audi Sport quattro. 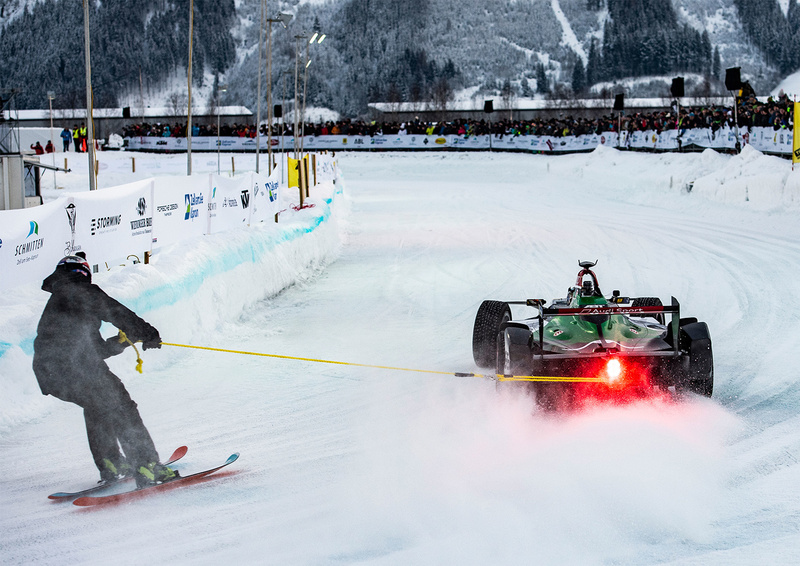 Abt successfully tried his skills at the traditional skijoring where a skier is pulled by a car. 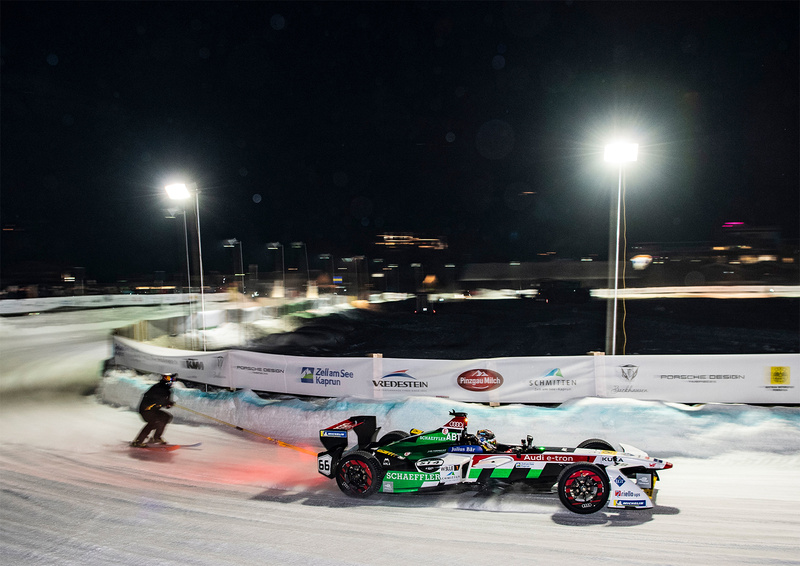 Freestyle skier Benedikt Mayr was the first person to be towed by a Formula E race car on the snow and ice race track. 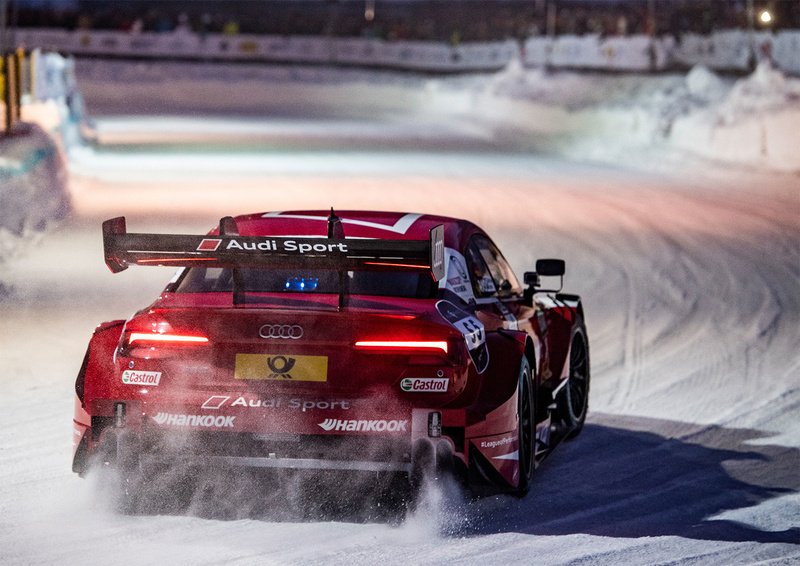 “That was great. 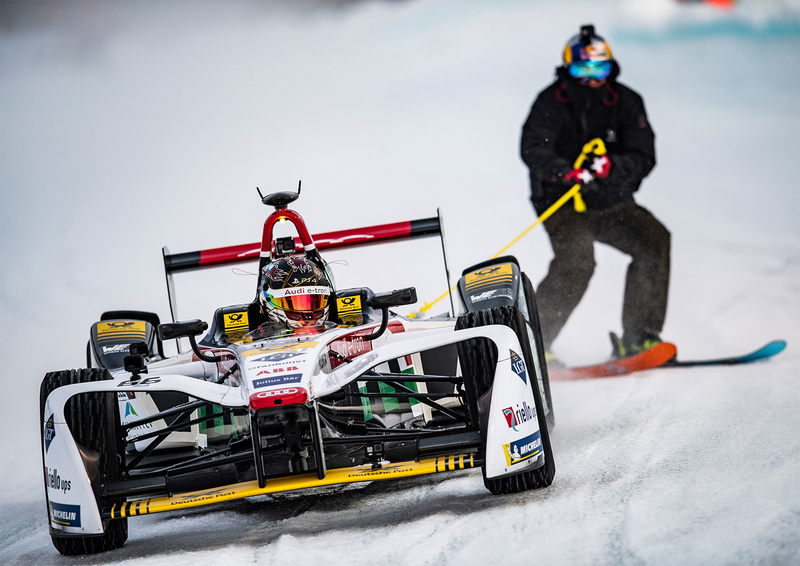 Now I’m looking forward to visit a Formula E race,” said the German.